What Edinburgh Barbell Offers you at a glance. 24 sessions a month in performance spec facilities. A programme personalised to your strength level and ability which changes and adapts every month. Coaching and feedback every session. Access to a welcoming training group that will push you on to things you didn’t think you could ever do before. Upbeat and fun training sessions. Come and get your swole on with people who think like you. Help with all of your training problems regardless of what they may be. All for £60 per month. Click here to arrange a free taster session now! Why Does Edinburgh Barbell Exist? 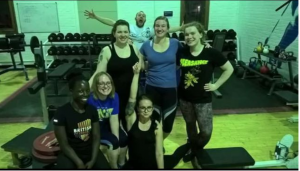 Edinburgh barbell is the biggest powerlifting, weightlifting and strength training club in Edinburgh. Situated in the heart of the city with locations in Leith (Duke street) and right on Holyrood road, we boast access to two of the city’s best-equipped gyms. 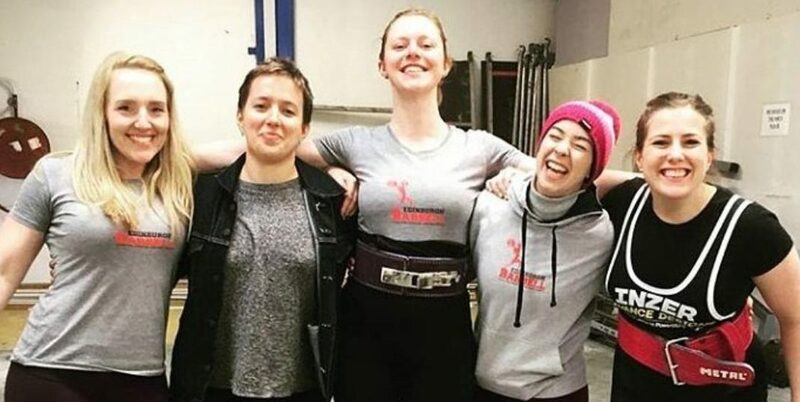 Despite Edinburgh’s size and diverse nature, there isn’t really much in the way of powerlifting, weightlifting or strength training focused groups, spaces or gyms. What I wanted to create with Edinburgh barbell was a community that welcomed and helped anyone who wanted to further themselves as a lifter or athlete. I’ve been lifting and coaching in Edinburgh since 2007 and whilst there has always been access to fantastic facilities with gyms like the Pleasance in the centre of the city there has never been much designed with lifters in mind. That’s where Edinburgh Barbell steps in. Progressive and intelligent programming designed to help you get stronger at a sustainable pace during the year and help you to remain injury free. Great and experienced coaches who aren’t just technically excellent but are also good communicators and personable. We don’t hire robots we hire people who are good at teaching other people how to lift. Bespoke training spaces where the club are the only people in the gym, you don’t have to worry about Mr Curl in the squat rack or Mrs Gym Selfie at Barbell. People are there to train and enjoy being at the club. Relaxed environment with a performance edge. We are pretty chill at barbell nobody is gonna get up in your face or spout silly slogans when you are lifting. There is a healthy bit of competition which is great for a lifting environment. Loud music and a buzzing atmosphere. We aren’t trying to please all of our members, we are trying to get these gains! That mean’s we like loud music and people working hard! An environment where only your best is good enough. No one’s gonna tell you something is good when it’s not good enough at Barbell, we expect our members to move well and to train properly because it’s the only way to get good results and not get hurt. A real community of lifters and people who share each other interests and hopefully each other’s sense of humour. Both venues have free parking around the back of the building. I’d been dabbling in weight training for a couple of years, not sure what I was doing but going through the motions of what little I did know. Joining Edinburgh Barbell was the best thing I could have done, I’ve learned so much and not only is it hugely motivating working out with other people, everyone is a good laugh and there’s a great atmosphere which makes you look forward to your next session. 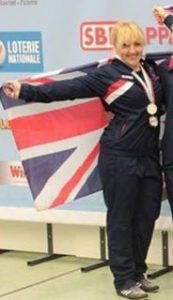 – Katy Matheson, Gold Medalist Eastern Open 2017. 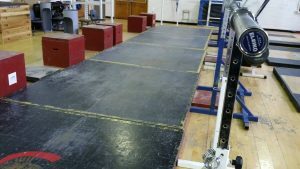 We have our own facility in Leith Edinburgh which we opened in September 2018 (10 Swanfield, EH6 5RX, Edinburgh) and St Leonards Land (Holyrood Road, Edinburgh) both facilities offer large training halls and plenty of good bars, plates, and platforms to train on. Edinburgh Barbell is one of the few places in the UK where you can come and train in a performance standard environment open to the public. We offer consultation with performance standard physiotherapists and Massage therapists. 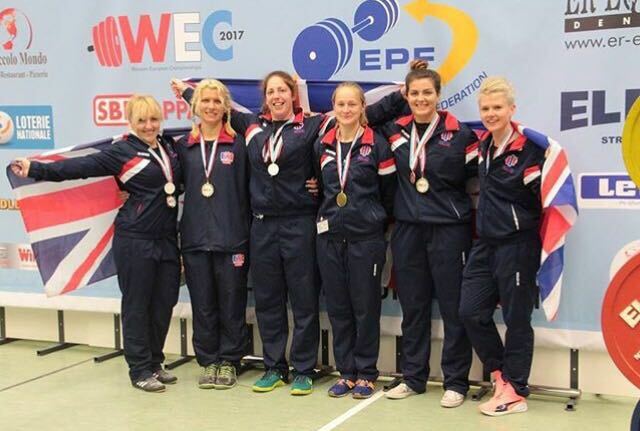 We have lifters who have gone on to compete at world and medal at European championships. Do I have to lift to join Edinburgh barbell? Absolutely not! Lots of our current members started lifting with us. We love taking on people who have had no experience of training before as your a blank canvas and we get to help you start out lifting with your best foot forward. Do I need a gym membership to join Edinburgh Barbell? In short no, we rent space from pre-existing performance facilities so there is no additional cost required for facility access. If you want to join a gym separately from Edinburgh Barbell that is entirely at your own discretion. Will safety training be provided? We will take all new members through the basics of how to load/unload safely, how to spot each lift and how to ensure you are keeping the lifting space as safe as possible for you and those you are training with. Is there a contract? Edinburgh barbell works on a month to month basis with freezing or canceling of your membership dues available on request. We try to make every element of the payment process as convenient and stress-free as possible. Can I train with Edinburg Barbell as a one-off? We offer a sessional rate of £10 for anyone who wants to pop along and join in. Please understand that these are group sessions and we will try to give you as much attention as we can but will not jeopardise our other members to deliver a personal training session. If you want to drop in then we would advise you be of an intermediate level or higher. Do I have to train 6 times per week? No, we provide as many sessions as we can so our members have flexibility and options of when they can train. Most programmes are 3-4 day per week with an optional 5th session for accessories. What programmes do you offer? We offer a novice powerlifting and weightlifting programme. 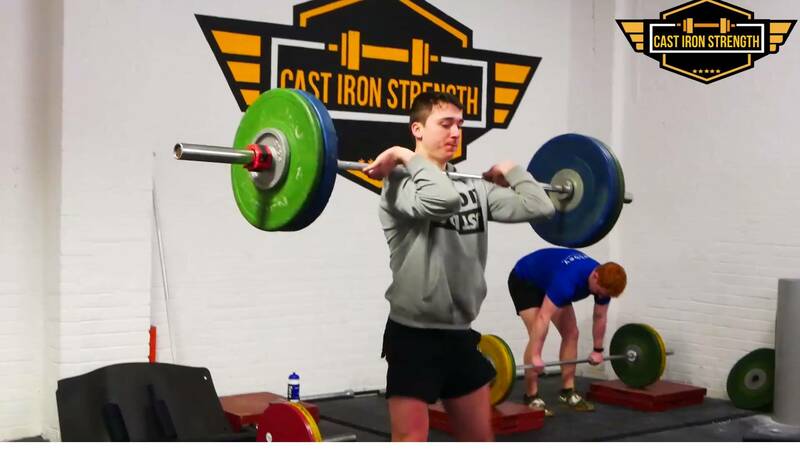 Peroidised powerlifting and weightlifting programme that works on a month to month basis these are appropriate for intermediate to advanced lifters. We also offer programmes for general preparation for athletes. There is also an option for an individual programme delivered on a weekly basis for £100 per month (access to EBB sessions included). What should I wear to training? Normal athletic wear (runners, t-shirt, leggings/shorts/tracksuit bottoms) is perfectly acceptable. You may wish to invest in some training aids like lifting shoes, belt, and other accessories but this can be done as you progress. Do I have to compete? No, whilst we encourage our members who want to compete and help them to do so the club doesn’t require our members to lift at competitions. If you never want to compete and just enjoy the training then that’s awesome. Likewise, if you want to compete will give you all the help you need to do so.